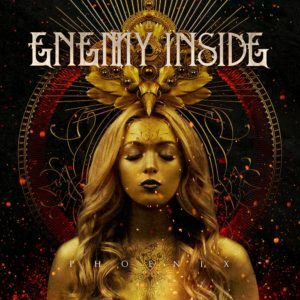 Enemy Inside are a pretty young band. 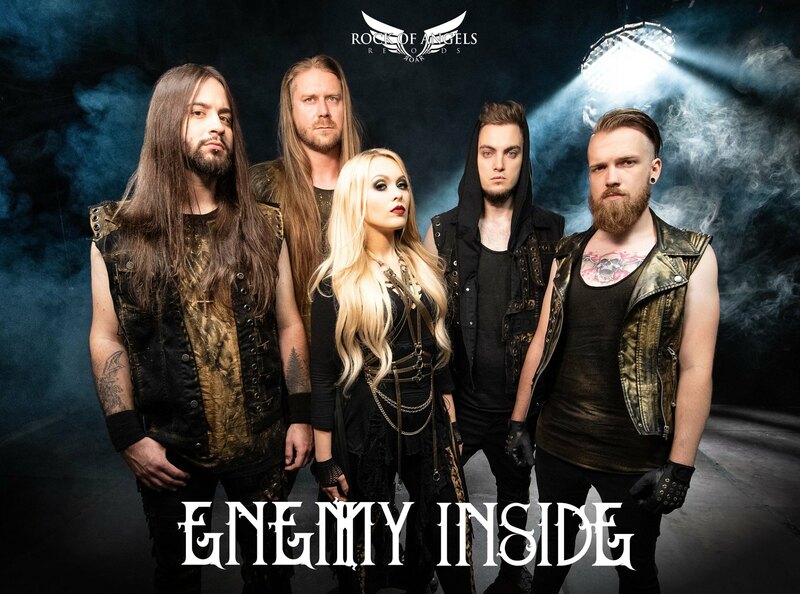 Founded in Aschaffenburg by singer Nastassja Giulia and German-Greek guitarist Evan K (Mystic Prophecy). Dominik Stotzem (b, Purple Rising, Beyond the Bridge) Feli Keith (dr, Shoot The Day Down) and Dave Hadarik (g) complete the quintet. That’s almost all the information you can find on the internet about the band. In September last year, the debut album “Phoenix” was released, from which three songs have been released as a single. 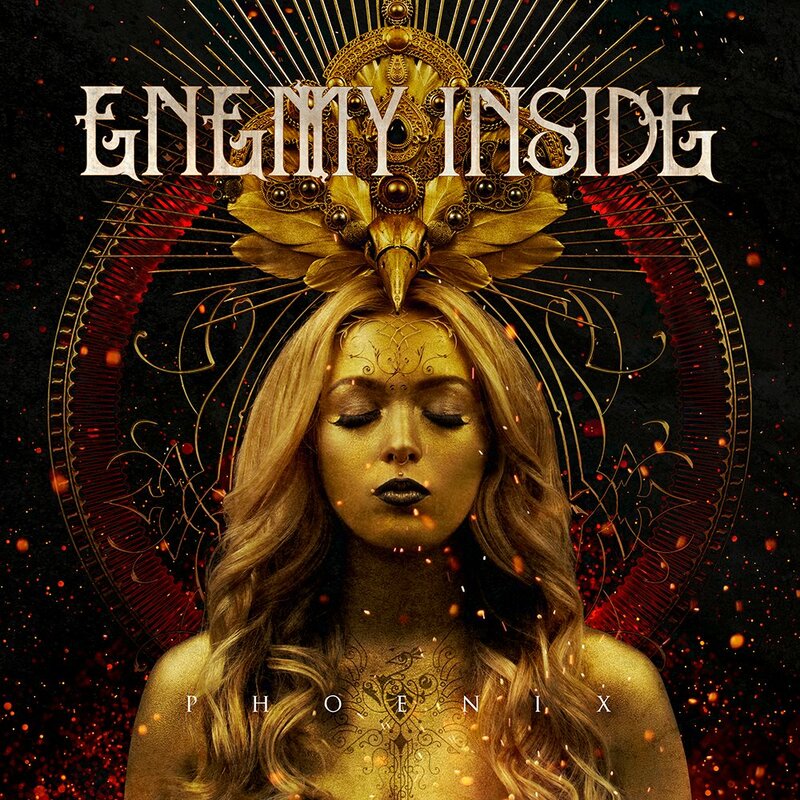 In October, Enemy Inside will perform at the FemME in Hilvarenbeek (Netherlands). A pretty singer surrounds herself with four experienced musicians. Together they play melodic metal. We already know that, one might say. Yes. But! Enemy Inside work much harder. And singer Nastassja has a pleasant and rocking voice. The Franks play straight-forwarded hard rock. Without pathos, without unnecessary bombast. That makes the big difference. This is clearly demonstrated by the opener “Falling Away”. Also, in the following songs (“Bleeding Out”, “Phoenix”) the riffs bang out of the speakers almost uninterrupted. And Evan always shines with his brilliant guitar solos. This is Melodic Metal Power par excellence. In “Lullaby” then the guitars dominate. Before the album reaches a first highlight. In “Doorway to Salvation” we hear a duet of two amazing voices. Nastassja gets vocal support from Georg Neuhauser (Serenity) for this great anthem. This is an accolade equal for the young band. With “Angel’s Suicide” follows the next highlight. A song that would have been on one of the earlier albums of Evanescence to become a smash hit. Really great. The following “Death of Me” does not quite have that quality. Here I see parallels to the harder songs of Beyond the Black. The following two songs seem to belong together, but differ musically very strong. The melodic, hymnic “Halo” is followed by the heartbreakingly beautiful ballad “Dark Skies” and provides pure goose bumps. And with the final song “Summer Son”, the musicians let it really rock again. Here is a smash hit of the group Texas heaved into the Metal universe. I like it better than the original. Final song? Not quite. On my CD, there is still a bonus track. The reprise of “Doorway to Salvation”, but this time without guest vocals. “Phoenix” is for me one of the best melodic metal albums of last year. The songs are varied and impress with catchy melodies. The album is modern and powerful produced. The live recording of “Angel’s Suicide” in the Colos-Saal in their hometown of Aschaffenburg proves that the musicians are also able to play this excellently live. This is really amazing!